I just finished a fascinating book by Angela Neustatter called A Home for the Heart. The book deals with the importance of home in our lives and covers an impressive range of perspectives, from people whose homes have been integral in their identities and their couple relationships; to those who have struggled to maintain a sense of home through poverty, violence, or relationship breakdown; to various experiments in doing home differently: co-housing projects, friends living together, and a diversity of romantic relationship and child-rearing arrangements. The book is packed with a wealth of experiences from experts, celebrities, and mostly everyday folk who have negotiated their relationships to home in a wonderful variety of ways. I like very much the way in which Angela shies away from presenting one version of home as some kind of ‘antidote to Broken Britain’ (p.6), but rather aims to explore the meaning of home in its broadest sense, recognising that different things work for different people at different times. It seems that we need to move away from a one-size-fits-all understanding of relationships, families, and homes, and to embrace the diversity of possibilities if we are to address the various economic, social, and emotional pressures currently facing us. In Rewriting the Rules I also found the theme of separateness and togetherness coming up again and again as I located many relationship tensions and conflicts in our desire to simultaneously follow our individual dreams and to find a sense of belonging in a relationship. It seemed that many of the people Angela interviewed in her book have addressed this tension head on and found creative ways of engaging with it. Angela interviewed me for her book particularly in relation to openly non-monogamous relationships, which is one way in which people have been renegotiating the rules of relationships and home. But there are many other ways of doing this relating to the commitments that are made, and the kinds of time and space that are shared and kept private. As Angela puts it there are people ‘deeply committed to each other, but who know themselves well enough to be wary of blending their lives too thoroughly, aware they need separateness to be able to retreat entirely from the presence, requirements, demands, delights, of a partner who is not less loved because of this’ (p.27). The part of the book that I found most fascinating was the chapter on what home means to people. It seemed particularly relevant to me because some of my own family members have recently made big decisions about the houses they live in, relating to the shared histories that these have, and their potential for enabling further family memories. Angela initially explores home as being a place where we, as individuals, can be ‘private, authentic selves’ (p.32). I hadn’t previously make such a strong connection between home and sense of self, but this idea really got me thinking. Perhaps the home space, at its best, can be a relief from the potentially judgemental gaze of others, and our own tendencies to compare ourselves and find ourselves wanting. Wafting from empty room to empty room, vegging out in front of the TV in our pants, or dancing in our bedroom, we can let loose and enjoy freedom from worrying about what anybody else thinks of us. Angela cites Alain de Botton‘s suggestion that the daily rituals of home (washing, cooking, eating, sleeping, tending plants and pets, etc.) also connect us in a fundamental way to the rest of humanity, so home can be both something that frees us and something that connects us. Freedom and connection also come into the ways in which we create homes. However, big or small our own space, we often fashion it to make it ours, using objects, pictures, music, as a kind of extension of ourself. Alain de Botton calls homes ‘guardians of identity’ in this way (p.44). But we also create homes together with people we share them with, forming joint decisions about furniture or paint, and investing time and energy in creating a place to reflect our relationship, our family, our friendship group, or our community. Again home is something that can reflect our freedom as part of the process of self-creation, and it is something that can express our connection with others and our part in something larger. People spoke to Angela about home as where they belonged and felt their strongest, often due to all of the stories they had built up in the place: with others and alone, happy and sad. A Home for the Heart also movingly describes several situations in which home is not a positive experience at all. I like Angela’s idea that it is important for home to be a place to dream and to expand the imagination (p.77). In situations of poverty, social marginalisation, homelessness and overcrowding, what homes there are may simply not be secure enough to enable that. Also, when people in the home are dangerous physically or emotionally, people are deprived of the peace and privacy needed to stretch themselves and their freedom, and any sense of belonging and safety in everyday ritual. Angela compellingly links these kinds of experiences to mental health, physical health, and the intellectual development of children, and questions educational approaches which call for tougher teaching, higher standards, and greater discipline when so many kids are precariously homed: one million living in conditions of overcrowding. There are other times when homes cease to be nurturing. Like me, Angela is critical of the ‘perfect life’ model that we are presented with in consumer and celebrity culture: the idea that we could be a successful self if only we could get enough money, find the right partner, or create the perfect home. She spends some time reflecting on the ‘trading up’ model where so many people moved time and again in order to get more money, investing in the economic rather than emotional value of property. Like me, Angela cites Oliver James’s book Affluenza which speaks of a set of values that paradoxically increase our vulnerability to psychological distress (p.61). She also recognises the role of pressure to have perfect relationships (and fear of admitting they are not) in keeping people boxed up in very unhappy homes. There is a further way in which homes can, perhaps, become hard. I’m thinking of times when we feel that homes are the only safe place to be: when everywhere outside becomes scary and we withdraw into the home and find it difficult to be anywhere else. At such times home can become suffocating – a cage which we have trapped ourselves in – rather than a valuable shelter which we can retreat into and come out stronger. I wonder if sometimes we cling to too tight an idea of home, rather than recognising that we can find moments of home-ness with other people, and out in the world, as well as within a specific four walls. Angela certainly recognises the danger of increasingly segregated, atomised forms of home where people hide in gated, guarded, locked-in worlds (p.64). 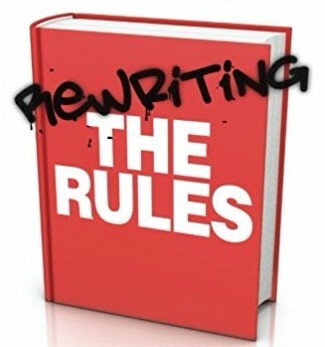 In Rewriting the Rules I encourage people to communicate with each other about all aspects of relationships: what they are looking for from a partner, how they like to manage conflict, what they want to commit and have committed to them, where they stand on privacy, how much they want to share, and how they feel about family, holidays, sleeping arrangements, illness, and a range of other aspects of life. Perhaps a vital element to add to this list is home. What does it mean to us, and what does it mean to the people we are considering living with? We will probably never agree on everything, but if we can understand what it means to us, and to other people, we are better prepared for the business of building and sharing a home. You can also find out more about these themes in my book The Secrets of Enduring Love. Really useful to read this Meg, thanks. Lots of this echoes with me in terms of the way that we often try to create subcultural/community ‘homes’ as well, and the tensions this provokes- ‘home’ like ‘family’ being one of those common sense terms we all think we understand, but which we often have quite different understandings of. It also chimes for me with Sarah Pink’s book ‘Situating Everyday Life’, which I’ve been reading on and off for a while- I really like the way that she talks about the ways that homes are created as spaces through intensities of movement- the paths that laundry travels through the home from basket to machine, to clothesline, to wardrobe, and back again.